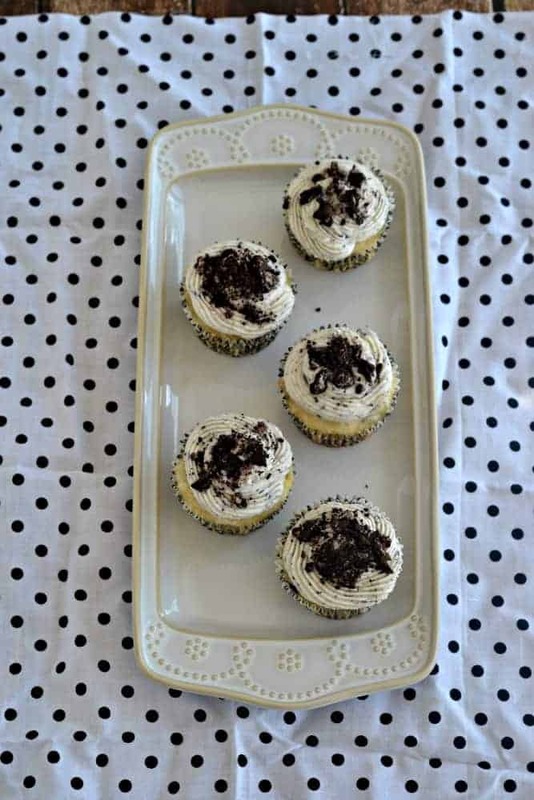 A few weeks ago I shared a recipe for easy Oreo Cookie cupcakes. 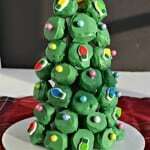 They were made with boxed cake mix and canned frosting. Those cupcakes are totally delicious and perfect for when you don’t have time to make the real thing. But the made from scratch Oreo cupcakes are out of this world. Picture this; A whole Oreo cookie on the bottom topped off with a moist vanilla and Oreo cupcake then frosted with buttercream frosting. 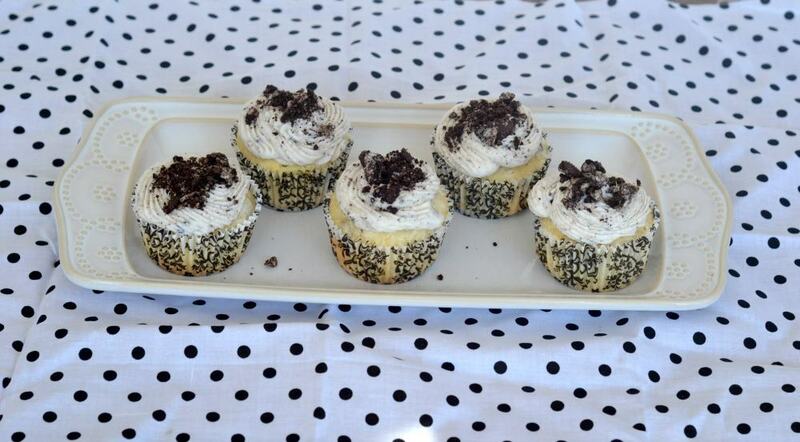 Finally the cupcakes are sprinkled with crushed Oreos and a whole Oreo is placed on top. It’s insanely good! 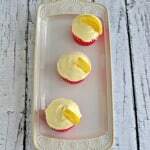 I started off by making a simple vanilla cupcake recipe. Then I added crushed up Oreo cookies. I poured the batter on top of an Oreo cookie half and baked it until it was cooked. After the cupcakes cooled I whipped up a batch of my buttercream frosting. Then I sprinkled crumbled Oreos on top of them and topped them off with a whole Oreo. The entire cupcake is one giant vanilla and chocolate dessert dream. 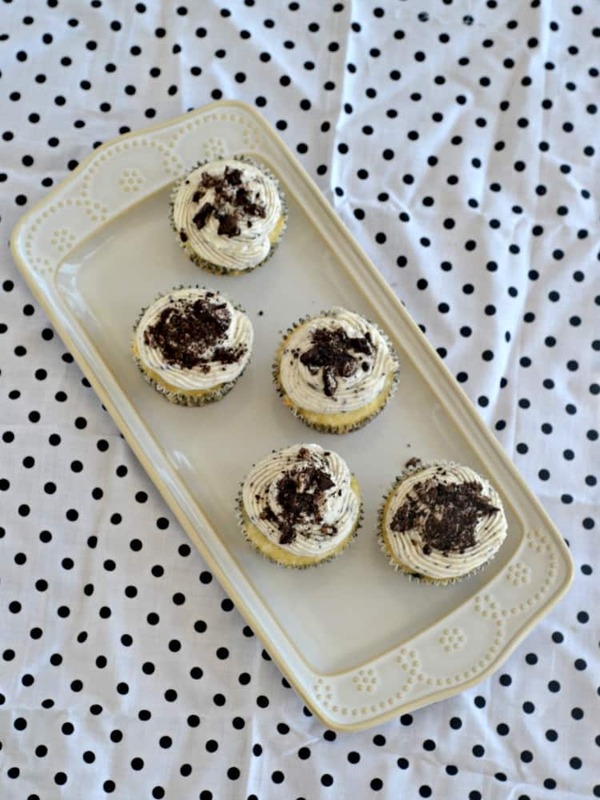 Oreo Cookie Cupcakes are topped with rich, vanilla frosting then sprinkled with Oreo crumbs and have an Oreo on top! Preheat the oven to 350 degrees. 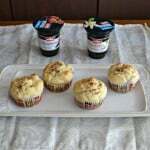 Line two muffin tins with cupcake liners. Divide 12 Oreo cookies in half placing one half in the bottom of each cup, cream side up. In a large bowl combin the butter and sugar. Mix well. Add in the eggs and beat until combined. Stir in the vanilla. Add half of the dry ingredients to the butter mixture and mix well. Pour in the milk and mix until combined. Add the remaining dry ingredients and stir until combined. Crush ½ cup of Oreo cookies. Gently fold them into the cupcakes. Divide the batter between 24 muffin cups, filling about ⅔ of the way full. To make the frosting beat the butter until smooth. Add in the vanilla and mix until combined. Stir in the powdered sugar ½ cup at a time until desired consistency is reached. 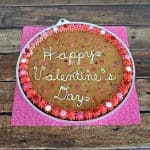 If the frosting is too thick add 2-3 tablespoons of milk. Frost the cupcakes with the buttercream. 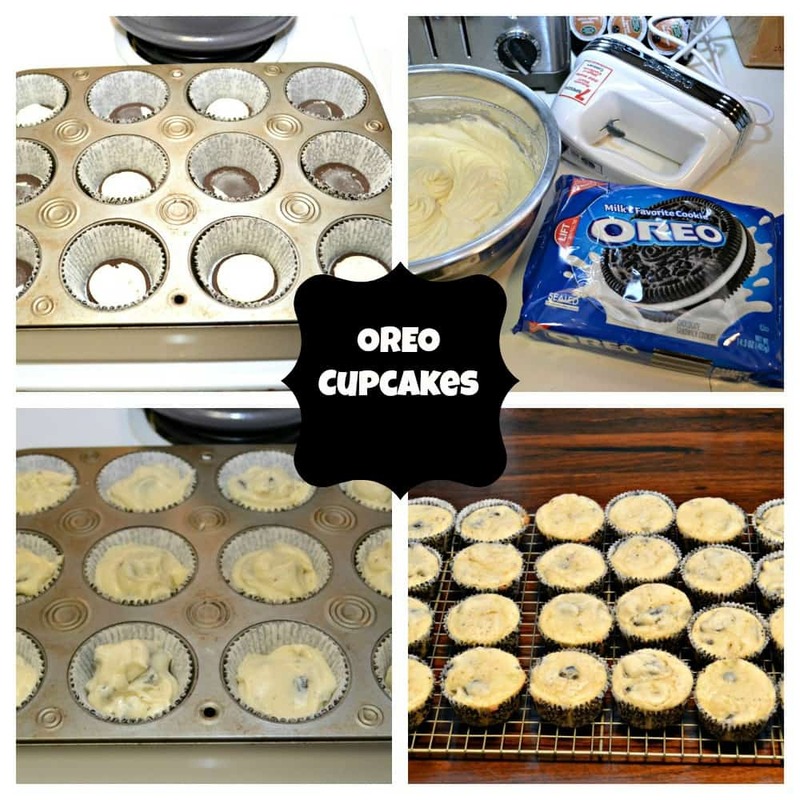 Sprinkle with Oreo crumbs and top with a whole Oreo.